Season Points for PT ST & TT ? 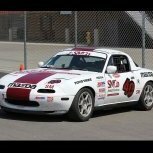 Las Vegas - road courses nearby ? Anyone have a rental race car for May 20-21 @ Auto Club?